The Chanel Classic Flap Bag is undisputedly one of the most important accessories in the history of fashion, and its creation, along with those of its 2.55 Flap Bag predecessor and Boy Bag descendent, are filled with historical fashion lore. There’s also a lot of confusion and misinformation about the bags, as well as their details, differences and origins, though, so we set out to debunk or confirm what we could. Below, we’ve created a primer, including a handy guide to the differences between the 2.55 and Classic Flap, what makes a bag a “Reissue” and where Coco Chanel got her inspiration for several of the designs’ most iconic details. It’s hard to imagine a handbag market in which most Chanel flap bags aren’t festooned with interlocking CC locks, but until Lagerfeld added them to the bags and spun off the Classic Flap in the 1980s, Chanel’s flap bags bore the logo-free Mademoiselle Lock the 2.55 Flap Bags hold today. The Mademoiselle Lock gets its name from the fact that Coco Chanel never married. 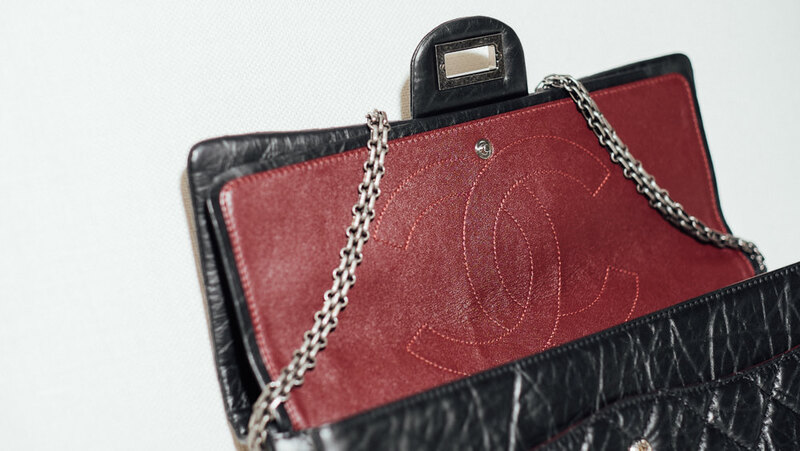 Chanel’s first bags had all-chain straps, but the story goes that Coco subbed in leather-filled straps when resources were scarce; over the Chanel Flap Bags’ histories, several different types of chains have come and gone. 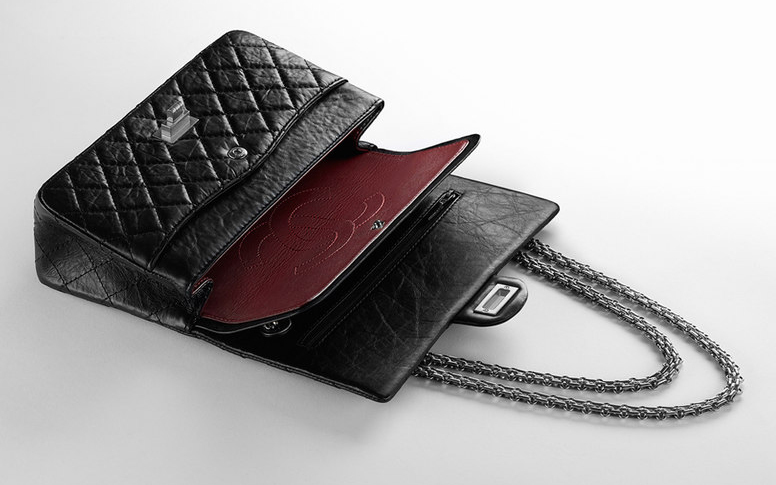 Classic Flaps only use leather-woven chain straps, though, and modern 2.55s only use all-chain straps. Chanel’s signature quilting was purportedly inspired by the jackets worn by male stablehands that Coco was particularly fond of. Also, Chanel’s most recent flap bag line, the Boy Bag, was named after and inspired by Coco’s longtime lover, polo player Boy Capel. 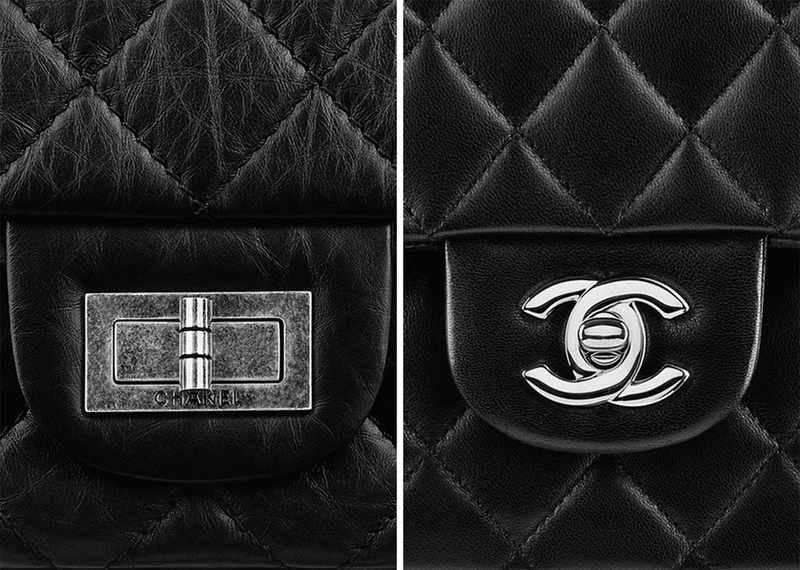 Chanel’s Flap Bags have one of the more confusing taxonomies in handbag history. First and foremost, the Classic Flap refers to the Flap Bags with CC locks that follow the design conventions Karl Lagerfeld debuted in the 1980s. The 2.55 refers specifically to Coco Chanel’s original design with the Mademoiselle Lock, but is often used as a catch-all term to refer to all Chanel Flap Bags that use the brand’s traditional structures. A Reissue is a 2005 version of the 2.55 that Karl Lagerfeld reintroduced as an exact recreation of the original. Technically, Reissues are only those bags from 2005, but the term is often used as an easy way to refer to all recently made 2.55s. The double flap/single flap distinction is something about these bags that evaded my understanding for a long time, but I dug into it and parsed it out. Traditionally, 2.55s and Classic Flaps are both Double Flaps, which means they have both the exterior flap closure and an interior flap compartment. The 2.55s have always been this way, but at times, Classic Flaps have been made in certain sizes that have only the exterior flap with an open interior. When that’s the case, they’re called Single Flaps. As far as I can tell, Single Flaps were discontinued a couple years ago, and all 2.55s and Classic Flaps are now Double Flaps. Single Flaps are still widely available on the resale market, though. 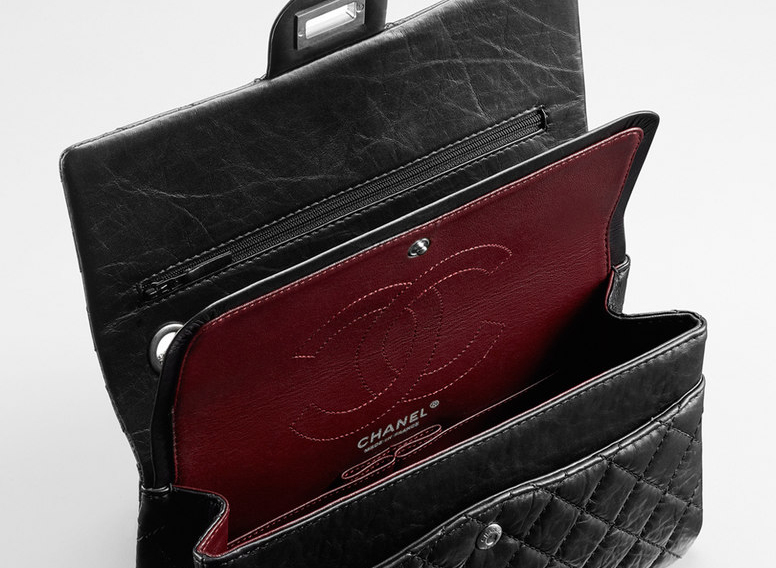 Under the top flap, Chanel bags have a weird little zipper compartment that you won’t find in bags with similar structures from other brands; as the story goes, Coco hid it there to have a secret spot to stash her love letters. She was having a rather torrid affair at the time. 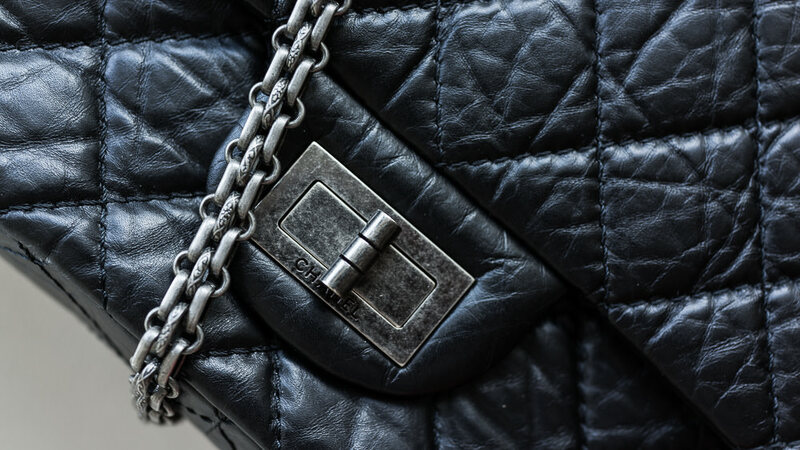 Because Chanel constrains its supply, regularly raises prices and has a long history as a luxury favorite, Chanel bags are a favorite on the resale market. Hard-to-find seasonal versions in like-new condition regularly sell for above their retail prices, and even gently used bags in regular leathers tend to hold their original value very well. There’s relatively little risk in splurging on a flap bag. Happy shopping.